My three-year-old daughter has been obsessed with orangutans lately. It started when, in an effort toavoid the Memphis heat Memorial Day weekend, we stepped into an IMAX theater and saw the movie “Born to Be Wild.” The movie is adorable with cute baby orangutans in diapers drinking milk from a bottle, and my daughter fell in love. That day she bought an orangutan from the gift shop at the IMAX movie and she and “baby orangutan” have been inseparable since. I wasn’t sure what she got from the movie beside the fact that baby orangutans are adorable, but one week later she announced, “When I grow up, I’m going to be a scientist who studies orangutans in the jungle where they live.” I got a little teary at this moment because I was so proud of her. 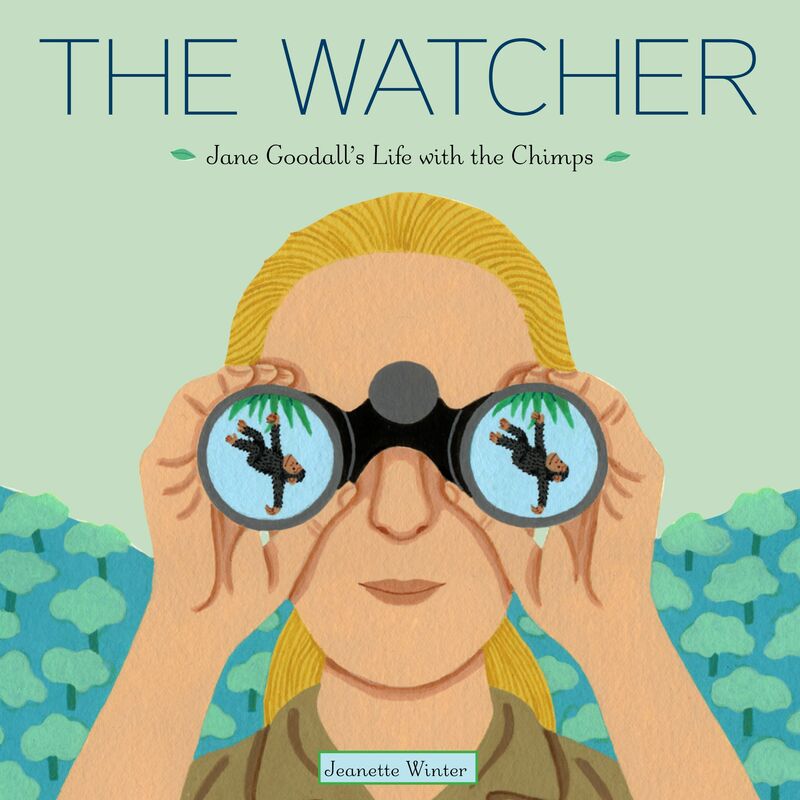 So that night we ordered The Watcher: Jane Goodall’s Life with the Chimps (Amazon affiliate link) so that she could learn what it means to be a primatologist. This book is really well done. It follows Goodall from her childhood watching a robin outside her bedroom window to a young grad obsessed with studying animals. She saves her money, moves to Africa, and begins her research. The pictures in this section are just lovely: of Jane sleeping in a tent and chimpanzees sleeping in trees, or her sharing bananas with her favorite chimp she calls David Greybeard, or walking through the beautiful jungle with chimpanzees all around. The book describes the things that Goodall discovered with her research – the complicated social lives of the chimps and that chimps use tools to eat – including many quotes directly from Goodall’s journal. This section of the book is very peaceful and beautiful. Just like Jane, readers fall in love with the chimps. Jane leaves the jungle and joins the lecture circuit when she realizes that her chimps are in danger. She’s seen the jungle trees torn down, poaching, animals being taken from their families for animal testing and the circus. It pains her to leave her friends but she knows she must help them. But every so often she returns to her friends in the jungle, and they always welcome her back, especially David Greybeard. The story told in this book is beautiful and engaging. 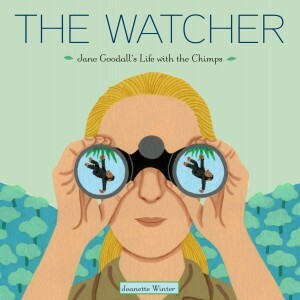 It presents the story of Jane Goodall’s life work in a manner which is understood by my three year old. I also like that it shows Goodall’s activism – she couldn’t stand by and watch the chimps be used for testing and circus tricks. When she saw it happen, she knew she had to speak out. This book is very well done, and I look forward to reading it again and again. Cool! I love Brain Pickings. Thanks for the heads up, Jenn K!